Though our hectic schedules are extracting the most out of us, we all are seeking some real peace and solace. We all are craving for a much-needed break off our schedules and give some time to our loved ones. We are living in an age where we are mostly tied to either our work or our smart phones. Spending quality time with our loved ones is a rarity. As the spring is setting in after a cold winter, make some time and spend a wonderful time with your better halves, partners or loved ones at the snow park in Goa. Bring out the romantic person inside of you; laugh, giggle and spend some good time with your beloved at the snow park in Goa. With the much-anticipated valentine’s week coming all of us are looking for the most unique plan that will make your day memorable and you will also be able to spend some with your soulmate or your loved ones. As a, matter of fact it is not just about the cliched flowers, chocolates, teddy hallmarked valentine’s day celebration. It is about you and your loved one rediscovering each other and glistening in your flame of love. Amazing photo booths and a lot of more. The snow park Goa is so much more than just an amusement park. With the best in-house facilities that one can expect it is a total package of fun and frolic. Just a quick drive away the snow park in Goa is a must visit place. There is a common notion among people that an amusement park is usually a place for the kids but they fail to realise that they are also among the most-visited places for couples. Perhaps it offers one of the best unique experience that couples can ask for in a valentine’s day date. So, no more of the cliched and usual candlelight dining and all the common stuff. 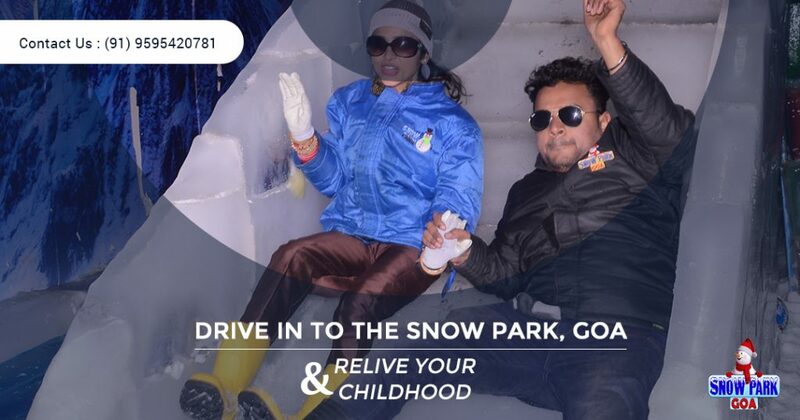 Drive in to the snow park in Goa and gift yourself and your partner a piece of your long-lost childhood. Enjoy the snow rides, and all the other amazing entertainments. Laugh more, Play with the snow and find yourself smiling and jovial in the arms of your beloved. Precisely the snow park in Goa offers you a piece of snow filled fun and frolic, which is the best thing to expire this V-day.